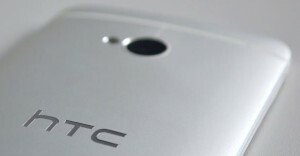 New leaks & info revealing two different models with HTC One Max. New pics and some info have, yet again, surfaced of the HTC One Max phablet: the 5.9-inch display and fingerprint sensor-adorned device will likely be presented in October. In the meantime we have gotten a pretty good idea about the design and the technical specifications. 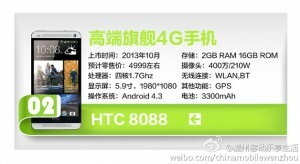 Though now it seems that the international and Chinese versions of the One Max could differ in one or two points. The HTC One is going to get a bigger brother, maybe even next month. Samsung’s new device, the Galaxy Note 3 (hands-on test), which they presented during the 2013 Berlin IFA, has set the bar high for new phablets. Other manufacturers also have their eye on this size for new devices: Sony recently unveiled their Xperia Z Ultra (hands-on review) and rumors on various blogs about the HTC One Max have been stirring for quite some time now. 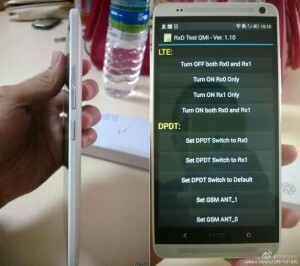 Thanks to these numerous leaks, we now have a pretty good idea of what the XXL version of the HTC One will look like. New photos have once again materialized which show off the mega phone at all angles and even the speculated fingerprint sensor found on the backside. There also appears to be three contacts on the rear for docking station support. The pictures originally came from an account belonging to a Chinese Mobile employee from the Facebook-counterpoint, Weibo, the latter having been quite the busy-bee in the last little while in posting leaks of the device. Next to these pictures, there’s a semi-complete list of speculated technical information which can now almost be confirmed. One particular specification really puts a damper on things: the One Max should come with only a Snapdragon 600 or an S4 Pro, and not the powerful Snapdragon 800 chipset that we were hoping to see. This was concluded after seeing that its processor would only tick at 1.7 GHz, which in fact is too slow for the 800 version. A tweet from @evleaks confirmed this theory. This release of these tech specs is based on information from China, which therefore leaves us with the hope that the international version could in fact come with different hardware. During the IFA, we were able to speak to an insider who made claims about other technical data: according to this person, the One Max should pack a Snapdragon 800 processor, run at 2.5 GHz as well as store a whopping 64GB of internal storage, while the Asian version would only come with 16GB. That being said, the new phablet could come with a micro SD slot for expandable storage. Whether the One Max will be unveiled touting a fingerprint sensor is yet to be confirmed, while at present two variations are being tested. Another variable element is the price, which could change at any minute and right now is set at 800 USD. This won’t be the last of the leaks we see, that I can almost garantee! What do you think of these? Pretty realistic or still up in the air?